Terry is a Wellington based musician who has a strong passion for music and guitar. Having completed a Bachelor in Applied Arts majoring in music performance, composing and production from Whitireia Polytech, Terry has become a regular fixture in the Wellington music scene. 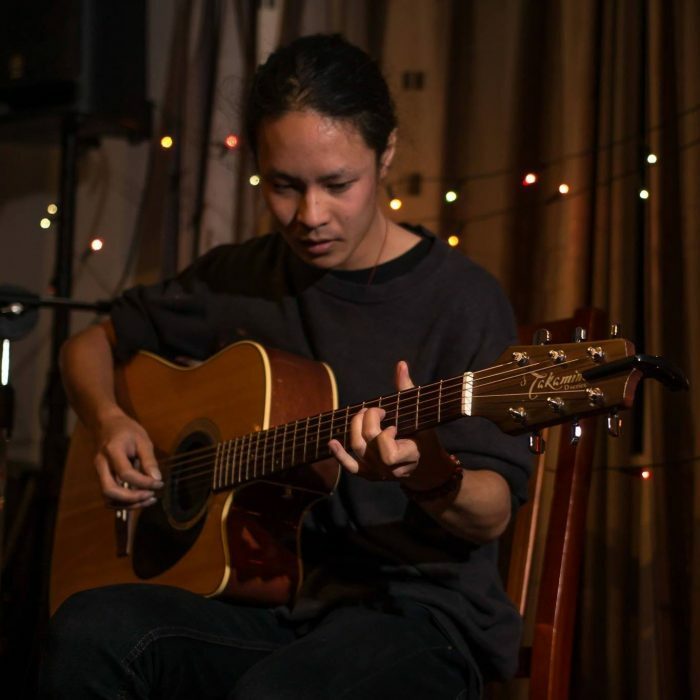 From playing guitar since age 12 Terry has come to play with amazing local and internationally reknowned acts such as Thomas Oliver, Bella Kelolo and Lisa Thomlins among others. Specializing in a unique style of acoustic guitar music called fingerstyle music. Mainly drawing from great artists such as Michael Hedges, Tommy Emmanuel, Andy Mckee and several others. I like to tailor my lessons with each student’s needs and focus on what goals they want to achieve. Anything from just learning to play a few chords to playing complex classical pieces. I want to build confidence in people who would like to play solo music and build a solid foundation of technique with engaging songs and pieces. It is my top priority to make the student feel as comfortable and engaged as possible. I am comfortable with teaching students from any age as I do lessons regularly that span children from the age of 5 to adults. I also have experience in playing slide guitar and ukulele and offer lessons too. If you want to learn about different tunings on the guitar that slide players often or want to learn basics on the ukulele feel free to contact me. I do lessons from my home in Newtown and can also arrange mobile lessons where I can come to you.